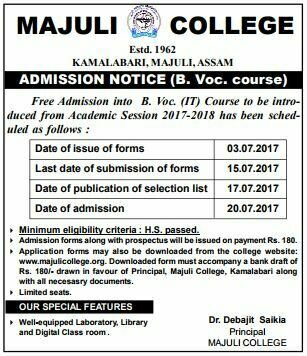 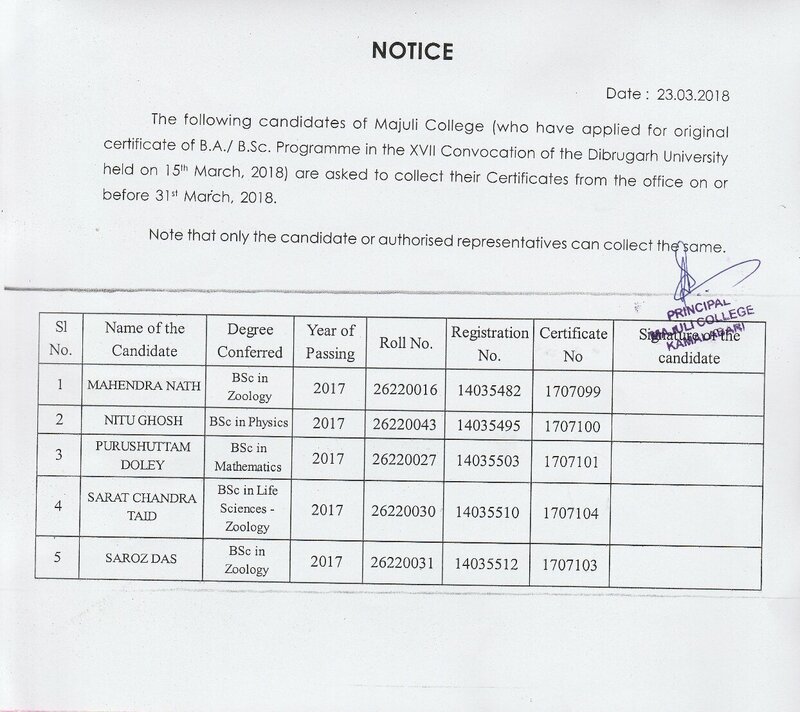 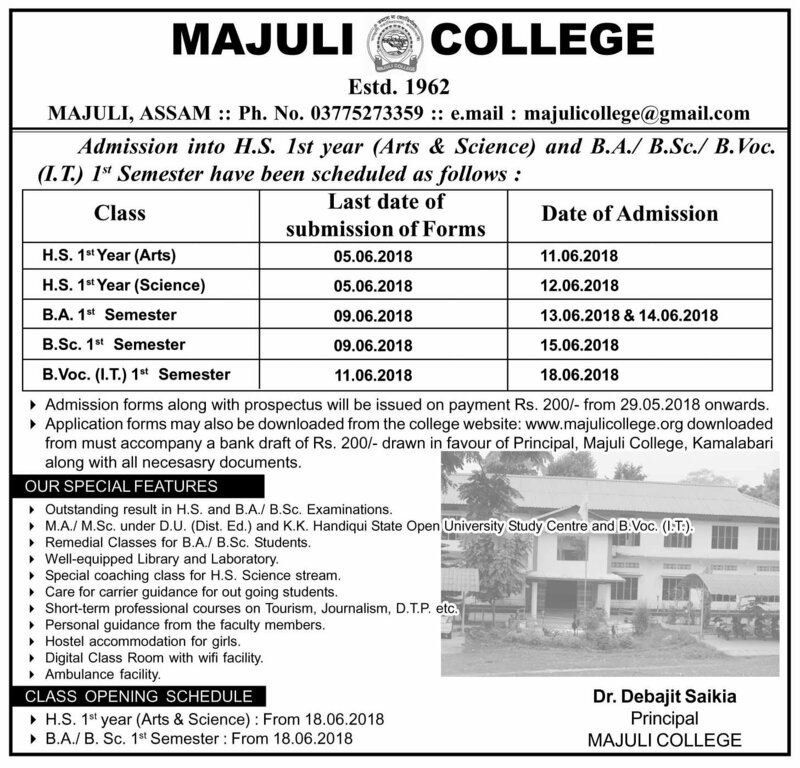 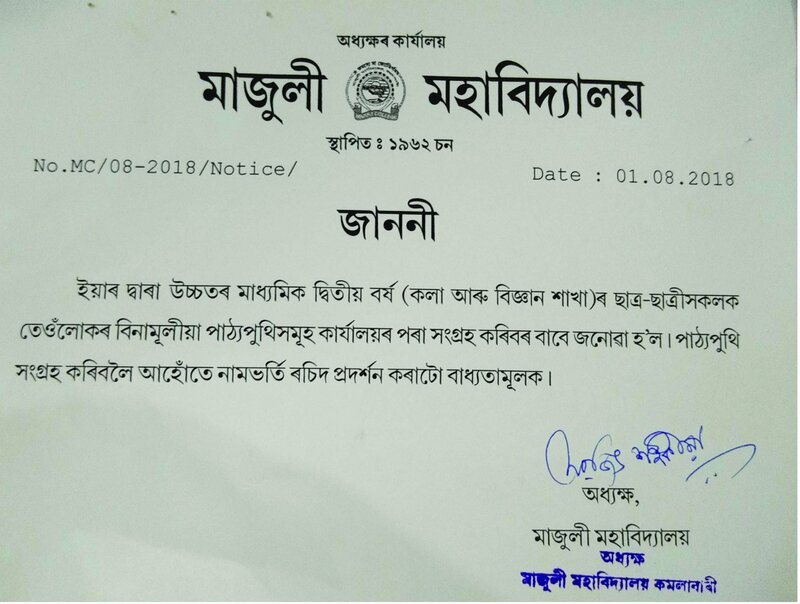 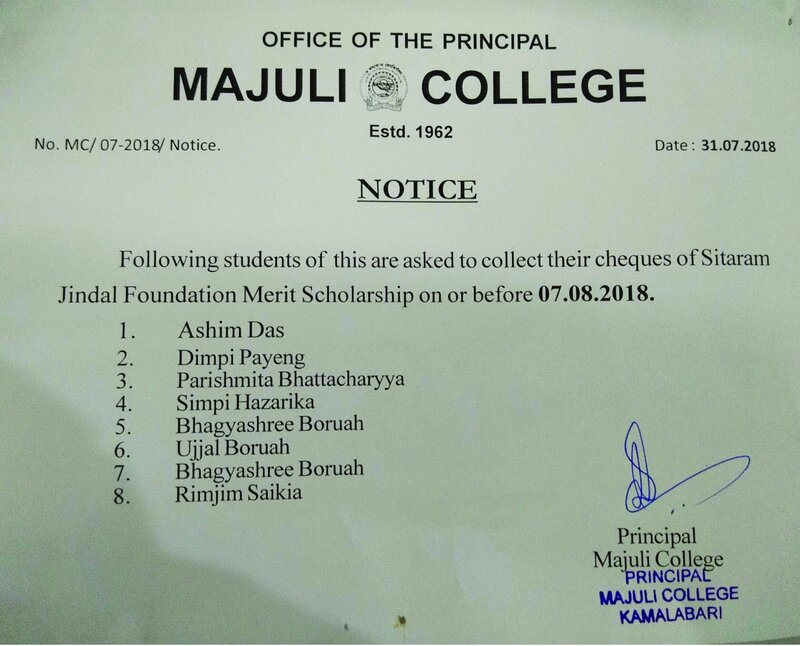 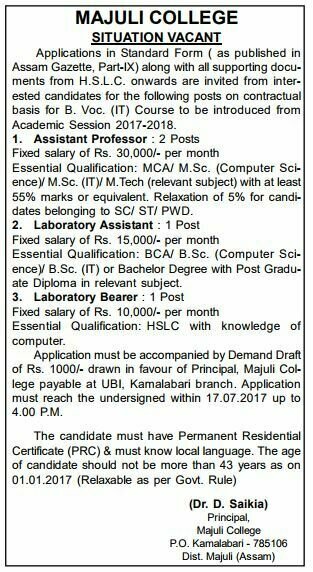 Majuli College is located at Kamalabari, the cultural and business hub of the newly declared district of Majuli in the upper part of the Brahmaputra Valley of Assam. 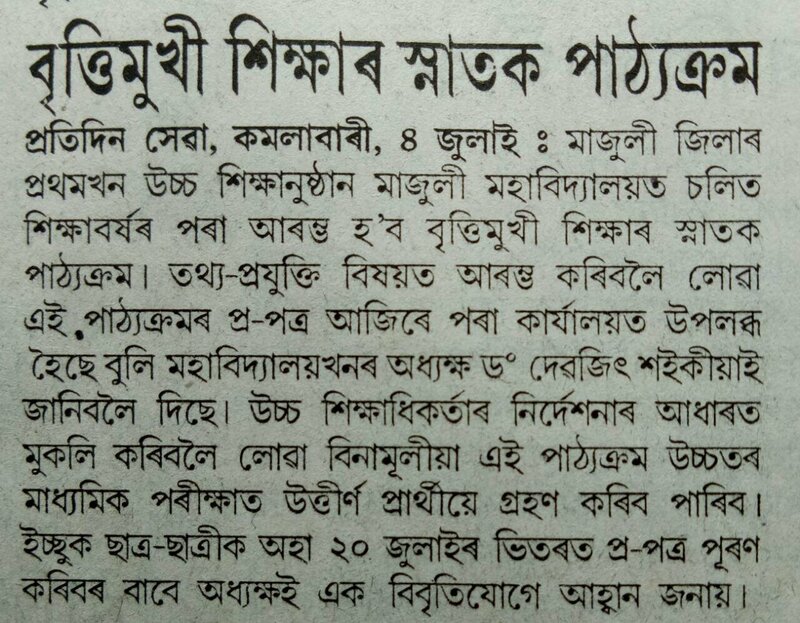 The College is surrounded by three historic sattras (Vaishnavite monasteries)– Uttar Kamalabari, Natun Kamalabari and Bengenaati and also by a vast paddy field at its back and a beautiful stream to its east. 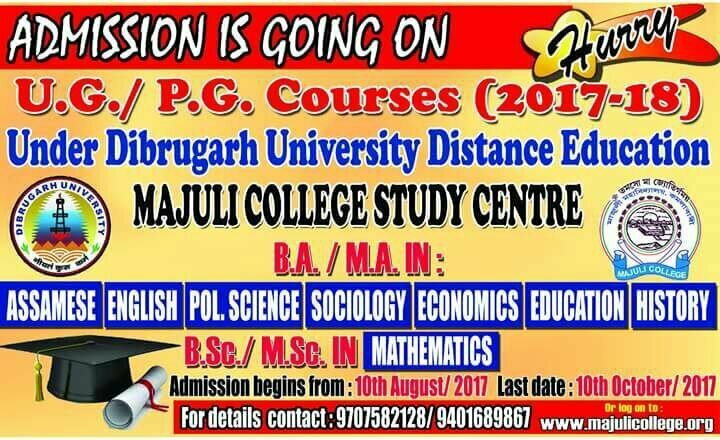 Such uncanny surroundings lend a spiritual and serene ambience to the college.